Do you Give the Gift of Hope with Every Pedal Stroke? Shift Cycle Wear is committed to supporting nonprofit organizations, charities, and individuals that champion causes imperative to those in need. That's why a percentage of sales from nearly every item we sell goes towards supporting a non-profit or charitable organization. We believe that it's not enough to ride hard for only yourself whenever you're in the saddle. We believe cyclists should ride hard, and give back. And the easiest way to do that is to know that what you choose to wear when you ride actually helps those in need. Shift Cycle Wear continues to look for opportunities to help those in need. Since 2010, Shift Cycle Wear together with our sister company Bend It Cycling has raised thousands of dollars for great organizations like The Human Rights Campaign, Mercy Corps, Rock The Vote, Bike 4 Breast Cancer, Ride For The Children, Utah AIDS Foundation, Southern Tier AIDS Program, The Katie Caples Foundation, The National Park Foundation, Meals on Wheels, and many others. 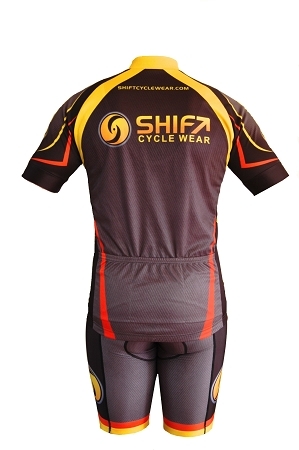 By ordering your Shift Cycle Wear Team kit, you make it possible for Shift to create even more partnerships with committed non-profit organizations and charities that we believe epitomize a focused, unwavering call to action to help those in need. 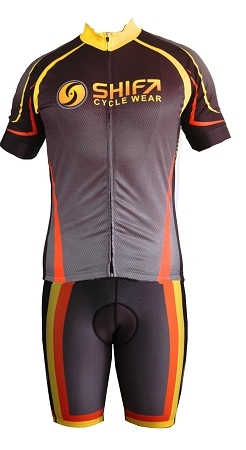 Give the Gift of Hope with Every Pedal Stroke and order your Shift Cycle Wear Team Kit today!